Becoming a travel writer was not an item on my bucket list when I first began to write. I wanted to write fiction. I wanted to tell stories. My dreams had what I considered to be a more, well, imaginative quality. You can imagine my surprise when I suddenly became a travel writer. Co-authoring a travel book was definitely an unplanned life event. I live in Houston, Texas. I write about Houston and about the Great State of Texas (Yes, we capitalize that.). I blog about Houston. 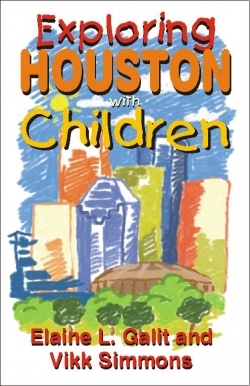 I've authored three travel guide books focused on Houston and Texas. Still, I would not call myself a Texan. Traveling is part of my nature. I was 2 weeks old when my traveling life began. 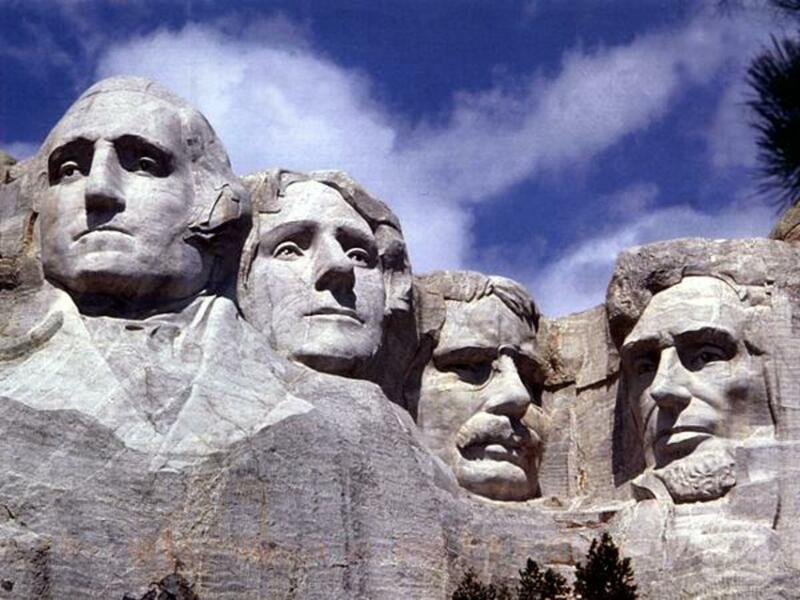 Born in Philadelphia, my family moved to Buffalo, New York two weeks later. You see, I was and am an Army brat. Interested in travel writing? 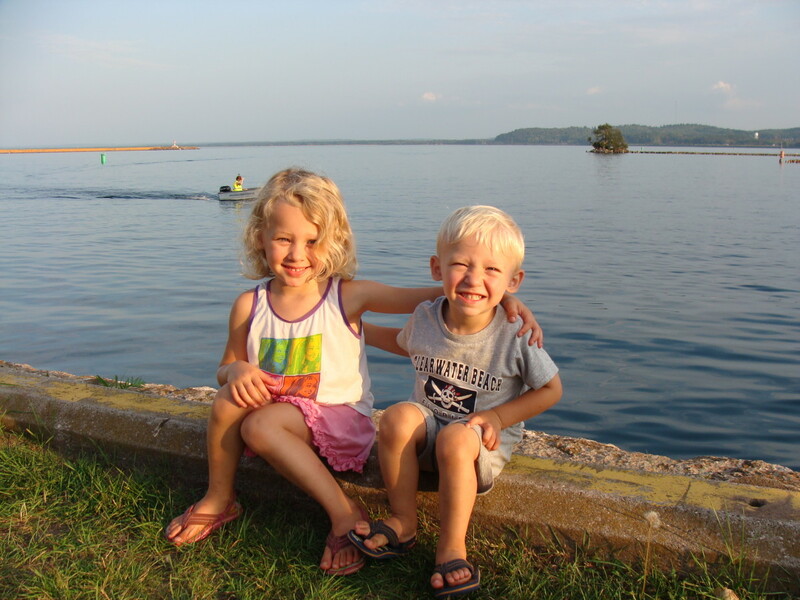 - Do you write travel articles? Tell me more towards the end, too. You'll find more questions about travel writing later. Does travel writing interest you? I love the Hill Country and the Wine Trail is a delicious experience. The Texas Wine trail easily equals Napa Valley and is a must-see destination. After writing for five years, travel writing presented itself. A friend had a contract but had just suffered a major life crisis and was struggling through grief and trying to get back into writing it was a struggle. She and I had several brainstorming sessions and it seemed to help her. A month or so later she called and said her editor loved the ideas and wanted to get the book rolling. My friend wanted me to co-author the book with her. I was surprised and flattered, but I really didn't want to take on the contract because I was busy working on other things. Eventually, though, you dangle a contract in front of any writer long enough--especially one who hadn't had one before--and the end result is a signature. And so a travel writing career was born. 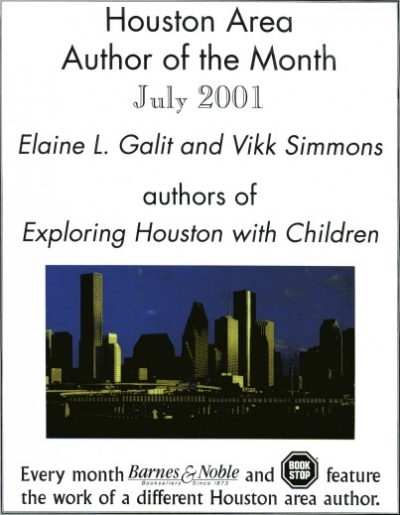 Our first book was a travel guidebook that explores the city of Houston with an eye to those places that are great spots for adults and children. We were both born in other states. We both raised our kids in Houston. We both knew we'd have fun. To write about the city, we used the idea of the school curriculum and broke our book into matching segments. So we had science, arts, geography, etc. That way the book would be useful not only to parents but to teachers and homeschoolers. It allowed us to give a twist to the usual book. It was fun. It was a lot of work. Am I glad I did it? Absolutely. I love the Best American writing series because you get a chance to see the topics and style of other writers. Signed my first book contract. Contracted and wrote three nonfiction books. Gained immense experience in the process of writing three contracted nonfiction books. Had the opportunity to do some online travel writing for MSN City Guides and Expedia. Published by a highly respected regional publisher. Published by one of the larger nonfiction publishing houses. Traveled the state exploring cities and towns. Learned more about Texas history and heard more Tall Texas Tales. Learned a lot more about my home town than I would have if I'd never written the books. Local author promotion a nice reward. Sorry to say our first book is no longer in print; however, I do have a limited number of copies that I can sell. Use this link and I will personally sign the copy you buy. What happens when a book is orphaned? Our first Texas travel guidebook was successful so our editor asked for a second book. We were flattered and signed the contract. We then spent the next year writing Exploring the Arts and Culture in Houston with Children. In this book we took a closer look at the major arts and the international mix of cultures that make Houston the 4th largest city in the United States. It was fun, but it was a lot of work. We finished the book. We did our part. We sent the manuscript off to our publisher. Then we learned our publishing house was being sold to a major publishing group. Our publisher had been the oldest Texas publisher and had been around for 100 years. Now our book that had been slated for production was on hold during the transition. Things looked good with the new editor. He liked the book. The book moved into the production stage. Everything was great. Then it was slapped on hold. Then it was released again into production. Then we learned that the sales people up north had a problem with trying to sell a "Texas' book. So it was out of production yet again.In the meantime it was listed on Amazon and we got paid. Amazon still shows the book but it's never been published. Which is a shame because it was a good book--and it was a ton of work. But that's part of the writing game. Our third travel book had its genesis in the aftermath of 9/11. New York was in turmoil. The publishing industry was hit hard and no one knew what was going to happen. 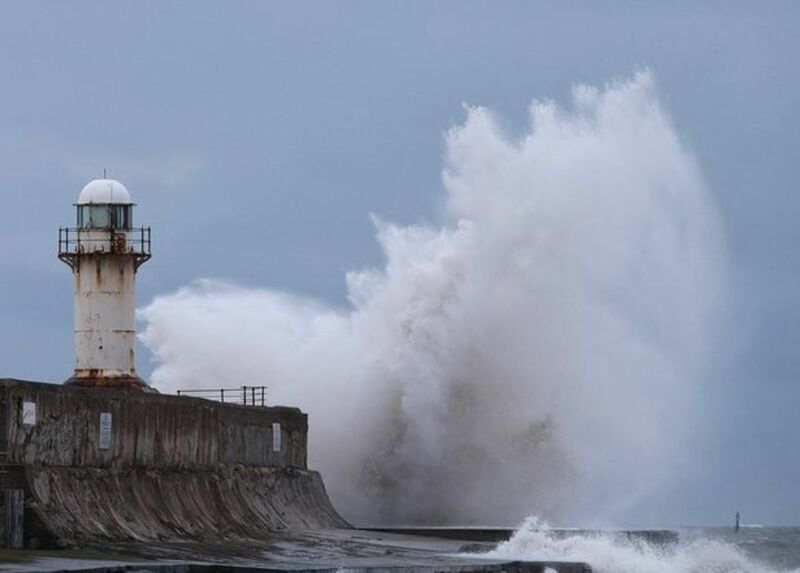 It was going to take a while for things to shake out. We were sitting in Houston trying to figure out what to do after our second book became a football between our editor in one part of the country who advocated our book and the sales team on the East who basically didn't want to deal with it. Add the confusion and the shakiness of the industry after 9/11 and we weren't sure what to do next. So we brainstormed a bit and then we came up with a book about the state of Texas. We both enjoyed reading about Texas history and knew that it was a perennial hot topic among Texans. We both enjoyed road trips. 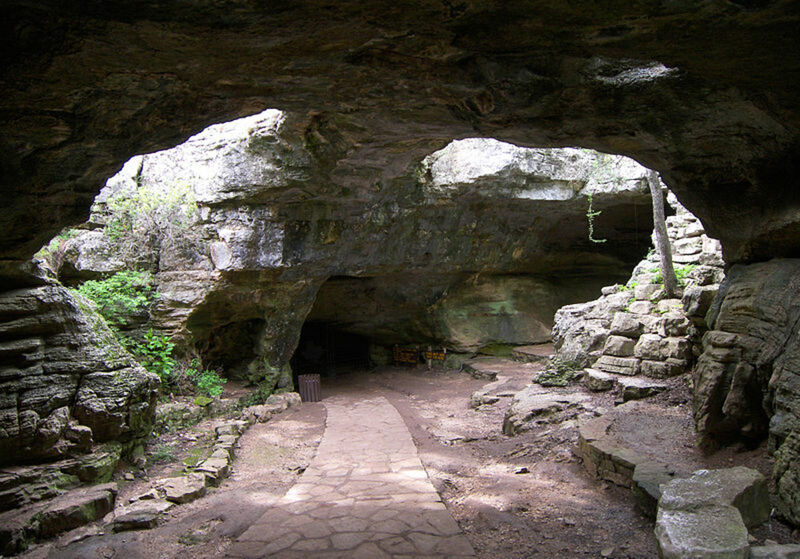 So we put the two together and came up with Exploring Texas History: Weekend Adventures. We tipped our hat at the Chicken Soup books and added short stories. Because we loved Texas history stories, each place we wrote about had to have a story taken from history as a lead-in. Our editor loved the idea and sent us a contract. And once again, for the next year we were busy traveling the state and writing up stories and information about Texas. It was a lot of fun. It was a lot of work. It, too, did well. Father's Day became a great weekend for us for booksignings. People wanted it for their dads, husbands, and boyfriends. Texans love their history. 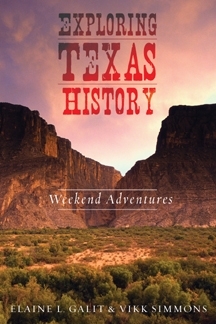 Happily, the publisher has reintroduced Exploring Texas History: Weekend Adventures and it now available once more. You will love exploring Texas and this book uses each major city as a hub so you can get the full experience. The last travel book was published in 2003. So after spending about 5 furious years immersed in the Texas landscape, I decided to shift my focus. About that time my elderly parents started to need help and I am an only child. I think I also had a bit of Houston-fatigue and wanted to turn my writing scope to other things and even revisit some fiction projects. So other than some online travel writing, I let the books and print writing slide away. But as a writer you'll soon discover that there are some topics that, by your own nature and curiosity, you return to many times over. You also realize that you've accumulated a lot of material that never even made it into the final versions of your work. And that's how it's been with Houston and Texas. I've recently started the engine on a blog that offers my take about Houston with some excursions into other parts of Texas when appropriate. Do You Dream of Becoming a Travel Writer? Some folks have grandiose ideas about what travel writers do because of movies and the whole lure of traveling. There are many travel writers and there are a few constants. Yes, there are some perks to the job, and the fun is definitely in the research. But in the end travel writing is writing. And writing is, pure and simple, sitting at a computer and pouring out your ideas, impressions, recommendations, and experiences onto the virtual pages of a computer screen. But it's not all work. Here are three other things we enjoyed. Arranged tours where we usually ended up being given VIP tours. Obtained press credentials for special events. Always fun. Had easy access to do interviews with people in charge of the facilities. Good travel writing must be hard to do. One can also submit articles to paying on- and off-line magazines. There are many of them which are seeking travel writers. Not a great pay, most of the times, but helps with profile and publicity. What a fascinating read. It's a shame that books go out of print so quickly. @Richard-H: I bet you would write some killer travel articles. @TeacherSerenia: Writing about Canada sounds like so much fun. I've written one lens on travel for a challenge. I'm not sure if I have a fresh point of view of interesting things to see that most travel writer's haven't already covered. Thanks for sharing your journey as a travel writer. It is very inspirational. My attempts at writing have never covered travel, but it's something I should explore. Very interesting, too, how you have your blogs intertwined...thanks! Yes I am actually thinking about writing a few lenses about Canada (my new home country) - there are some areas of Canada that are not currently covered by lenses so far as I can tell. I also write about my old home country (NZ) as well. I've traveled some and have written about it, but its a type of writing I've never really explored. You've given me something to think about. Travel writing definitely sounds interesting. This is a great lens. Thank you. I had thought about writing about travel but never really did it. #1 reason....I didn't have any confidence in myself and my writing. My daughter is the writer and hopefully will be joining us later this week. Travel writing about Texas is a wonderful topic. So much to write about. Your lens is very nicely written on the subject. Great examples of your work. I think I would especially enjoy your Texas History book. You sure have had an interesting and successful career!